Land management strategies and land use within urban-suburban, agricultural and forested landscapes can have significant impacts on local and regional carbon, water and energy cycles, but their gross and net effects are complex and not well understood. As a result, a better understanding of the interactions and feedbacks between ecological systems, human actions, and changes in climate is needed to drive the decision making process at local to landscape and regional scales. For example, in the western US, fire and drought and their intensification with climate change are critically important issues faced by land managers. Several states have set ambitious greenhouse gas reduction targets, including conversion of power plants to bioenergy from forests and crops, and thinning high biomass forests to reduce wildfire emissions. However, policies and management are being implemented without adequate assessment of their comprehensive environmental effects. 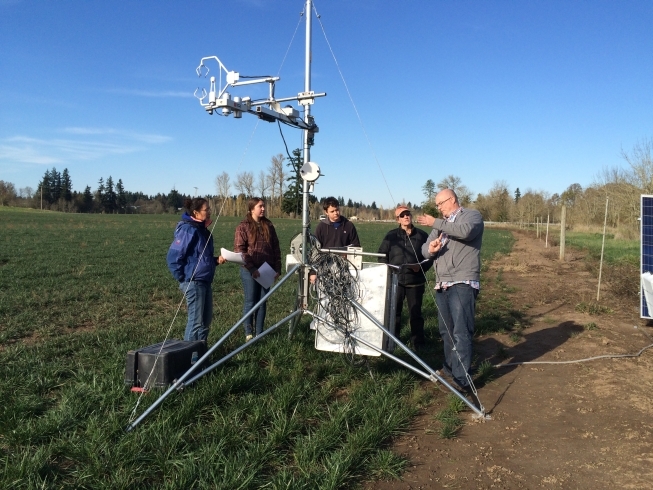 To address these shortcomings, we are studying the effects of land use and land cover on carbon, water and energy exchange with the atmosphere in current and future climates across a gradient of urban-suburban agricultural and forested landscapes. 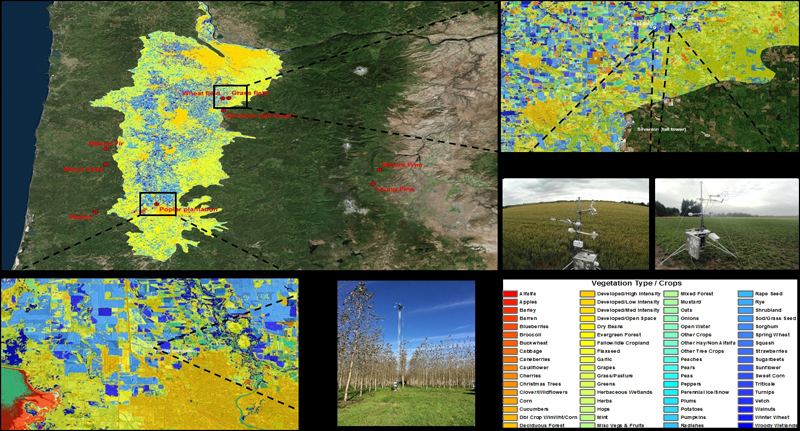 The approach integrates new time-series analysis of satellite data to discriminate land cover changes, tall tower CO2 observations, and tower flux data with the Community Land Model, CLM4.5. Artificial neural network analysis is used to examine current spatio-temporal patterns in carbon, water and energy exchange, and enhance CLM4.5 to improve prediction of carbon, water and energy changes in the future. 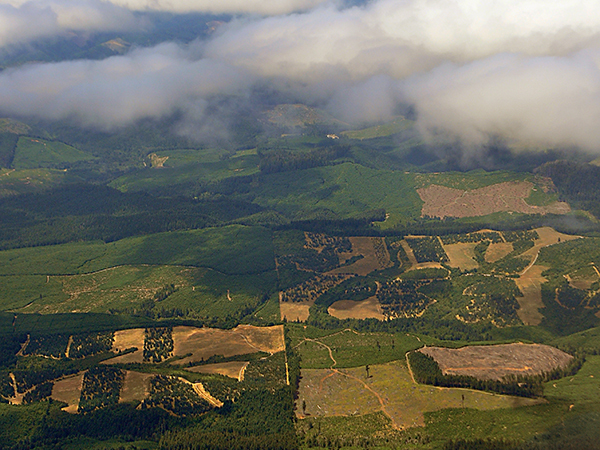 Oregon has strong gradients from high population/high forest productivity/mesic climate in the west to low population/low productivity/arid climate in the east, and land use is changing to reduce GHG emissions. The study focuses on (1) the effects of conversion of semi-arid sagebrush to irrigated bioenergy production on carbon, water and energy cycling, and resulting heating or cooling effects, and (2) the effects of afforestation of idle land and rangelands deemed suitable for forests or poplar crops on exchanges of carbon, water and energy under future climate conditions. Questions are: How do current land uses and cover affect carbon dynamics, and carbon, water and energy exchanges, including cooling/warming effects? Given possible climate trajectories, what land-use strategies will reduce carbon dioxide emissions while optimizing sustainability of native vegetation and food crops? The aim is to understand the relationship between carbon dynamics and land-use decisions in gradients of urban to crop and native vegetation. An important goal is to identify strategies that can sustain ecosystem function while addressing land use changes that are intended to reduce greenhouse gas emissions. 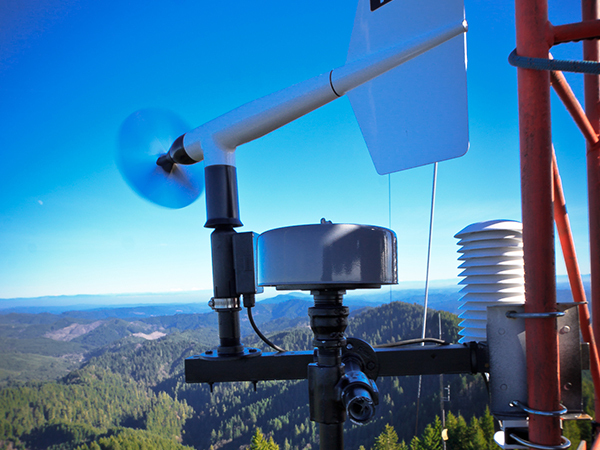 The observation-driven modeling approach will provide an invaluable policy analysis tool for other regions as it projects integrated impacts of land use decisions and climate change on ecosystem carbon and water processes and climate feedbacks.